Youth Opportunities Unlimited (YOU) supports youth in London and Middlesex between the ages of 15-29 to build skills, confidence and independence to reach their potential. 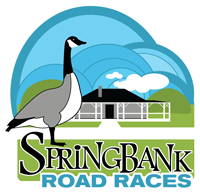 We envision a community where youth are embraced and will thrive, and that is why events like the Springbank Road Races are so important to us! Pledges from this Road Race will go directly towards YOU’s New Addition project, which will aim to provide a stable home for youth, young expectant mothers, and new moms and babies at the most vulnerable time in their lives. Located in Central London, The New Addition will provide safe and affordable homes for those experiencing homelessness or at risk of homelessness, and will act as an integrated program hub focused on physical and mental health, employment, education, and training. By participating in the Springbank Road Races, or by sponsoring someone who is, you are creating opportunities for local youth! Thank you! Help Youth Opportunities Unlimited by pledging to your favourite runner; click on the runners name that you want to pledge to. Half Marathon - a small loop of Springbank Park followed by an out and back loop through the Thames River Path system. 5K Run & Walk - an out and back loop of Springbank Park. 2.1K Run - This 'mini-Half' follows the final 2.1k of the Half Marathon course, starting at the 19k marker located just East of the middle roadway in Springbank Park. Kiddy Trot - This event is about 250 meters in length and is ideal for any child from 1 up to age 12. Parents are allow to run along side any registered child. Event shirts are available, for an additional fee, up until September 15th. For family registrations, you can register in-person at Runners' Choice as a family for the Half Marathon and/or the 5K and receive a discount of $10.00 OFF per family member after the first fully paid family member. This is not available online. 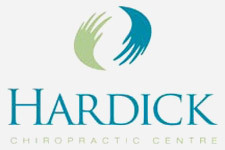 Saturday, September 28th - from 10:00am to 5:00pm at Runners' Choice. Sunday, September 29th (race day) at large picnic shelter near the stone cottage, from 7:15 am to race start. This event will be using timing chips that are attached directly to your bib number. These will be a vailable during all race kit pick-up times. Open Series points awarded for both the 5k & Half Marathon. Kids Series points awarded for the 5k and 2.1k. Awards will be available at RUNNERS' CHOICE until October 29th, after which, all unclaimed prizes will be recycled. Don't just win a prize, stay for the awards ceremony and claim it. Prizes will be awarded as Runners' Choice Gift Cards.